SOCCER – YET another feather has been clipped from high flying Mbabane Swallows. Forceful forward Aladeon Kola has penned a two-year contract with Zambia giants Zesco United. Actually, Kola has also been included in Zesco’s Total CAF Champions League squad alongside fellow new signing Lewis Macha. The Nigerian goal machine is winding up his short-term contract signed with Swallows at the beginning of the season which specifically ends on November 30, 2018. According to reports in Zambia, Zesco have also signed Kabwe Warriors captain Clement Mundia and free agent Macha, who had unsuccessful spell with South Afri-ca’s Pre-mier Soccer League (PSL) side Ba-roka. While Zesco Chief Executive Officer (CEO) Richard Mulenga could only say they were finalising a deal for Swallows in a report carried by the club’s official Face-book account, sources close to the deal said it is a done deal. “Kola is joining Zesco on a two-year contract and is expected to link up with his new teammates in Lusaka at the beginning of December, just in time for 2018/19 CAF Champions League start,” the impeccable source said. “ZUFC are set to sign Mbabane Swallows striker Quadri Kola Aladeokun as the Zambian champions seek to strengthen the squad ahead of the CAF Champions league games that kick off this month end. CEO Richard Mulenga confirmed in an interview that ZUFC were finalising a deal to land the 25-year old Nigerian striker,” reads part of the Facebook report. Kola was part of the Swallows side which played Zesco in the Champions league and he would join the other latest recruits like Kabwe Warriors captain Clement Mwape and Lusaka Dynamos striker Mwila Phiri. 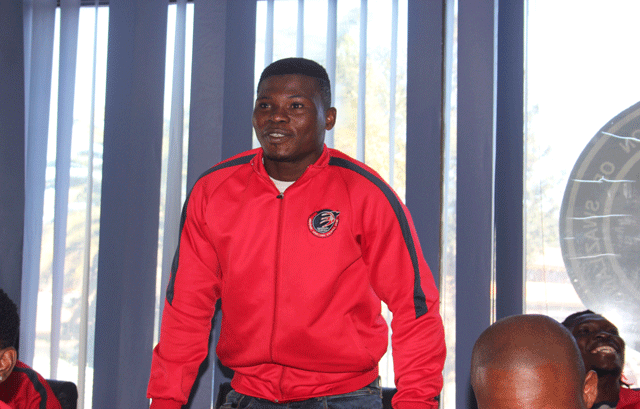 The player’s agent Charles Matsebula could only confirm a deal was on the cards. Swallows General Manager Sandile Zwane did not answer his phone when several attempts were made to get his comment.